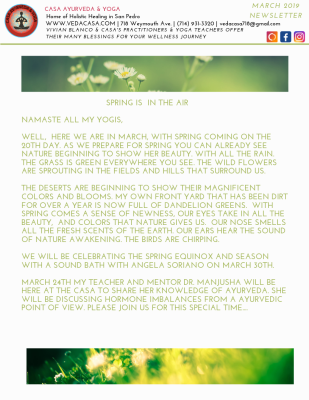 In our newsletters we offer announcements, insightful articles about yoga and ayurveda, breakdown of yoga poses (asanas), recipes of the month, and more! 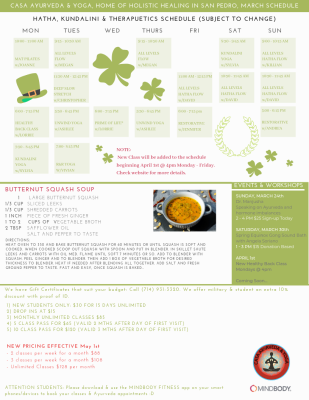 ​Click image and select "Go to Link" to download the monthly Newsletter! 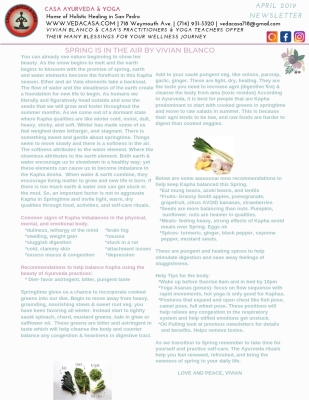 Greetings from our Owner, Special Events and Workshops, Class Schedule, and Recipe of the Month. 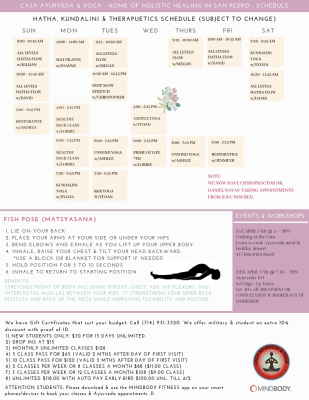 Spring is in the Air, New Chiropractic Staff Member, Asana of the Month, Events and Workshops, and Schedule Updates.